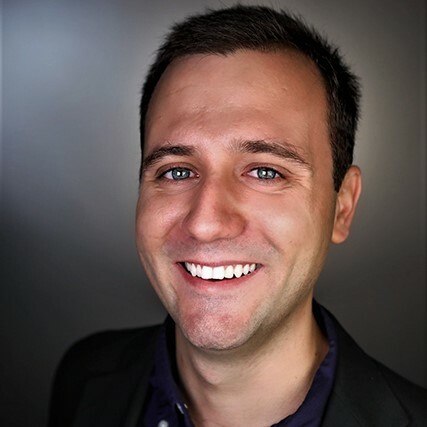 The focus of my research lies at the intersection of mechanics, machine learning and numerical modeling. My overarching research involves modeling of mechanics and fluids in a vast array of settings as well as applying machine learning algorithms to mechanical sensing of actuators. We are working to develop a prototype autonomous soft robotic system with distributed embedded sensors that is able to perform object recognition via sensor data with machine learning algorithms. The system is to serve not only as a proof of concept but also as a principle for designing similar machinery when using additional types of embedded sensors. Our current prototype serves as a scale independent method for the development of similar soft sensing devices. Hard shell beetles can exhibit various colors and structural shapes depending on the environment in which they live in. Interestingly, their colors do not arise from the pigments on their skin, instead they come from the defragment of light through the alignment of pillar structures which is believed to be optimized to also give it strength. In this project, we optimize for the balance between structural coloring and stiffness to obtain a design principles for engineering applications. We are interested in understanding and harnessing the mechanical and hydrodynamic benefits introduced by the skeleton of deep-sea glass sponges. In particular, we focus on the Hexactinellid species called Euplectella aspergillum, which is commonly known as the "Venus' flower basket." This species exhibits an interesting and regular circular beam structure that is speculated to have both structural and hydrodynamic benefits. As a structure, our numerical model for the sponge shows that incorporating a two reinforcement beam structure makes the sponge more resistant buckling while not compromising stiffness. In a hydrodynamic sense, this species develops an interesting yet also regular helical ridge that allows for efficient dissipation of von Karman street. 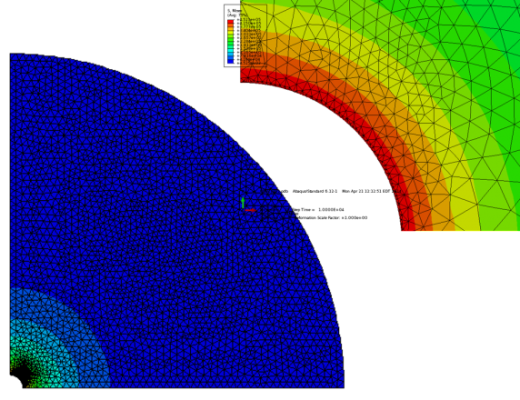 To understand this, we simulate the sponge geometry in a Lattice Boltzmann code analyzing the flow around the sponge, and compare the vortex shedding to that of methods found in engineering structures. 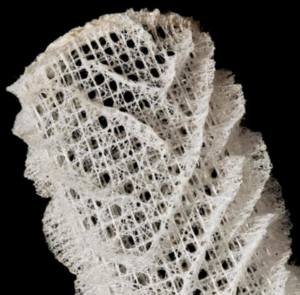 Figure 1: Photo of glass sponge Euplectella aspergillum. Figure 2: Rendered truss design of sponge skeletal system. I am currently working on Finite Element Model (FEM) of subglacial hydrology of large ice sheets found in Greenland and Antarctica. My current project involves modeling of supraglacial lake rapid penetration through formation of large cracks. These lakes form as a result of drainage from surface melt-water at a concave depression along the ice sheet. I am investigating the power-law creep deformation of the feeder channel corresponding to the balance between the water pressure inside the channel and the overburden stress of the ice. 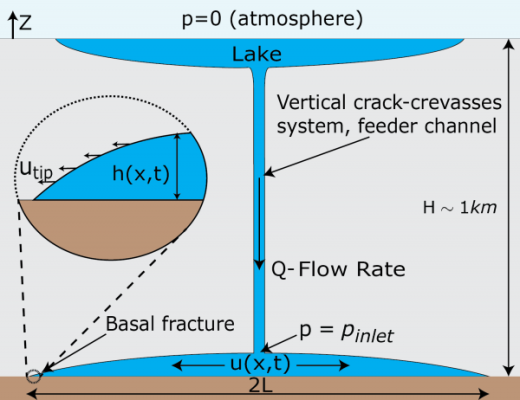 Using the opening rate of the vertical channel we find the water flow rate which ultimately allows for the calculation of the basal fracture crack tip velocity. Understanding this subglacial hydrology system is key to estimating glacial motion. The water between the ice and till lubricates the interface, allowing for a more rapid downstream motion of the ice sheet which leads to rapid calving rates at the terminus of the glacier. 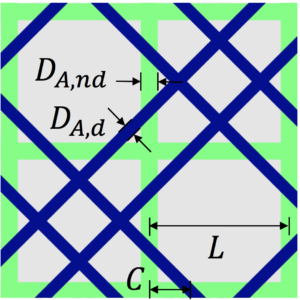 Figure 3: FEA model of creeping vertical feeder channel at a circular limit. Figure 4: Schematic of subglacial hydrology beneath supragalcial lake. Placing a wind turbine in an urban setting is a challenging task as the surrounding wind pattern must be understood in order to optimize the wind captured by the blades. For this project, I created a COMSOL Computational Fluid Dynamics (CFD) model that analyzes the wind flow pattern around an urban wind turbine located on CWRU downtown Cleveland campus. The validated model took into account prevailing wind directions acquired through cup anemometers and thus estimated the disturbances in airflow created by the surrounding buildings and its affect on the power generation of the turbine. 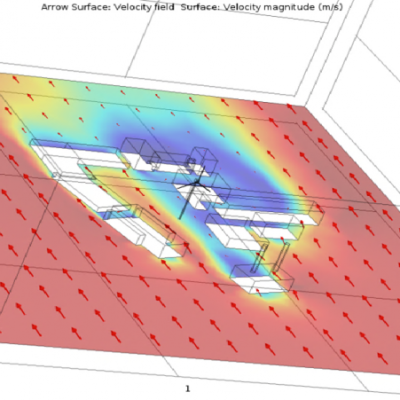 A featured article posted by COMSOL on this project can be found at: Wind Turbines in Urban Settings a Reasonable Idea. 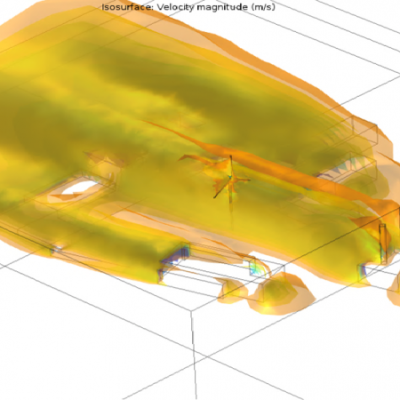 Figure 5: Wind velocity iso-surfaces around wind turbine at the center. Figure 6: Wind flow velocity scale ground level and wind streamlines.